As the U.K. is plunged into the third Ice Age, one would be forgiven for battening down the hatches and staying indoors till, June? But not Kate Middleton. 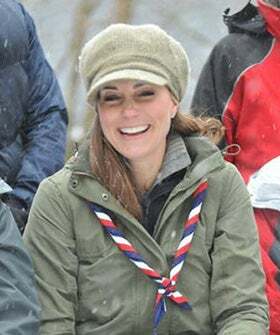 The duchess visited the Great Tower Scout Activity Centre on Thursday in Narnia the Lake District to guide 24 Cub Scouts trekking from Cumbria to Manchester.